Discount available! 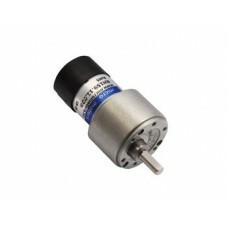 Recommend Gearmotor 12 Vdc - 5 rpm - 100 Ncm to your friends and get your Discount. 12 Vdc motor with gear ratio of 629.82: 1, with noise suppression VDR on the collector, the direction of rotation depending on polarity. Particularly suitable for the realization of Robot.